Whether you’ve gotten into a fender bender or you need a car removed from your property, Landon’s Towing and Recovery is available to help, day or night! 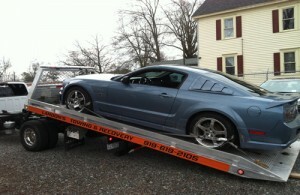 Our professionals are available to tow anything, from cars to large boats. We place an emphasis on customer service and pride ourselves on strictly following all safety and security procedures. You can count on us for efficient tow truck services at a fair price, so call now for auto towing services in Hillsborough and beyond! At Landon’s Towing and Recovery, we know that when you need a tow truck you can’t wait around for regular business hours. That’s why we’re available 24/7 for our customers total convenience. If you’re stuck on the side of the road due to a flat, a leaky hose, or other minor problem, our professionals can even come out to fix it for you on the spot! In addition, we’ll give you an accurate ETA and arrive on time to tow your car or truck, so you’ll never be left wondering whether help is on the way. Even if your car is seriously damaged, we can help you. 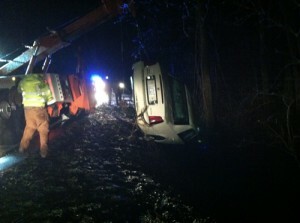 There isn’t a highway in the Hillsborough area that we can’t get to in order to tow your vehicle safely off the road. When it comes to our auto towing service, we never leave our customers hanging. Safety is our number one priority at Landon’s Towing and Recovery, and we will first make sure that you are completely safe before even considering towing your vehicle. Then, as we begin our towing services, we’ll ensure that the vehicle is as secure as possible, starting by carefully pulling it onto the bed of our tow truck and finishing by securely transporting it to our office or your specific destination. 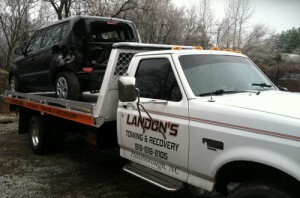 At Landon’s Towing and Recovery, we don’t take risks with the well-being of our customers or their vehicles, and we have satisfied customers to prove it!